The name sciatica is used to describe pain spreading all along the sciatic nerve that can radiate from the buttocks to the back of the leg and sometimes to the foot. The sciatic or ischial nerve is the mixed nerve (sensory for sensation or motor for muscle strength) the largest of the human body. There are two, one on each side, located in the lower limb descending into the buttock, extending on the posterior aspect of the thigh to the back of the knee. From there, it separates in two, the fibular nerve common to the outer face of the calf, descending on the front of the leg and foot, the tibial nerve, the back of the leg and under the foot. It originates from the nerve roots connected to the lumbosacral trunk (L4 -S3). 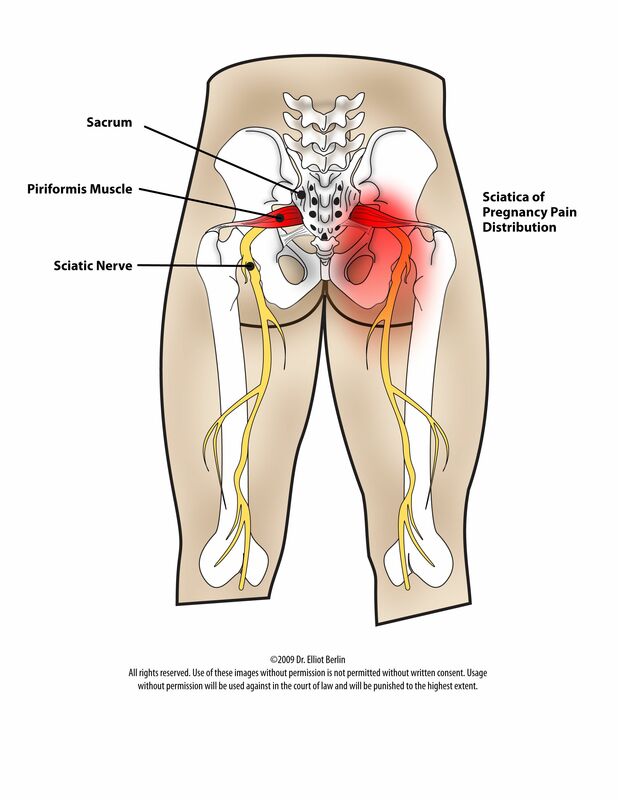 As the innervation of the sciatic nerve almost completely affects the area from the buttocks to the toes, when sciatica (pain along the sciatic nerve) sets in, the pain follows the same course as the nerve is usually localized. only one side of the body, the side of the affected nerve. It is possible that both nerves are reached at the same time. Thus, sciatica or sciatica is generally used to refer to sciatic nerve irritation or injury that causes pain all along the sciatic nerve. Different causes are often the cause of the pain caused by sciatica. Bad habits, poor posture, pregnancy, injury, illness, etc. can cause sciatica. The chiropractor can assess what is the cause of sciatica, while remaining within his scope of practice. If he considers that one of the causes may be outside the neuro-musculoskeletal domain, he must refer the patient to medicine. Sciatica is very common and it affects about 5 to 10% of all patients with back problems. Everyone, without exception, can one day be touched by sciatica. Of course, some factors can also increase the risks. The main symptom is the throbbing, intense pain radiating from the buttock, descending into the thigh and leg and ending in the foot. Sometimes the pain stops at the knee. The feeling varies according to each case. In some people, a great burning sensation is felt while in others, a tingling or a very acute pain settles permanently or occasionally. Each case is different and each sensation is unique to each patient. Very rarely, sciatica disrupts the control of the bladder or intestines because of pressure on the roots of the lumbar nerves. Generally, the symptoms and a physical examination are sufficient for the competent health professional to establish a diagnosis. A radiograph (chiropractor), an MRI (magnetic resonance imaging prescribed by the doctor) or a computed tomography (doctor) may be recommended in some cases for the acquisition of additional information to eliminate certain causes. Depending on the cause, the treatment may vary. Generally chiropractic care and muscular work help the patient with this condition. Early rest, ice, analgesics (pharmacist), anti-inflammatories (doctor and pharmacist) and later exercises are complementary to chiropractic treatments. Note that if there is a herniated disc causing sciatic nerve neuralgia, surgery is recommended only in severe cases. For mild to moderate cases, manual therapies, including those used by the chiropractor, are recommended. for sciatic and lumbar pain due to disc protrusion (bulging of the disc may cause disc herniation). Some exercises can also help strengthen the muscles and thus decrease the pain gradually. There are some tips used to reduce pain in the presence of sciatica. These tips are substantially the same as those used in the presence of back problems. Except in case of disease or infection, sciatica can usually be avoided by good daily habits. 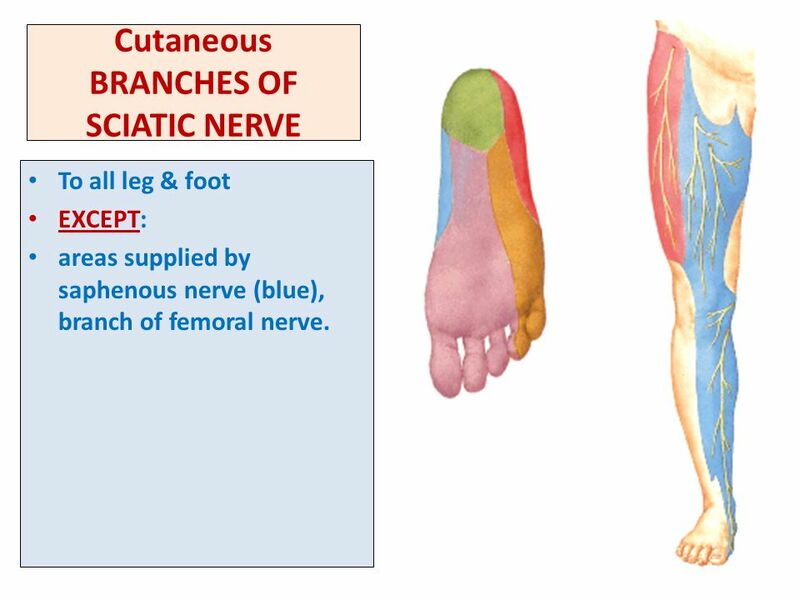 Bad postures, high heels and other bad habits contribute greatly to the onset of sciatic nerve pain. Some daily habits are the same established in the presence of sciatic pain in addition to a few other appropriate actions. Healthy lifestyle greatly reduces the risk of developing joint, muscle, tendon, and sciatic nerve problems. NB It should be noted that all the information contained in this text is for information only. Sciatica can be a complex condition. Consultation with a competent health professional is required.